Preserving and protecting the environment is among the main principles of the District's Mission Statement. Yet, it takes both private property owners and public utility agencies doing their part to keep a sewer system from overflowing into the environment. To best ensure this, it’s important to understand which part of the sewer system is a customer’s responsibility and which part is BVWD’s responsibility, particularly when a problem arises with the system leading to a potential or actual sewer system overflow (SSO). The District's collection system includes approximately 17.38 miles (91,766 linear feet) of sewer collection pipeline, as well as 160 manholes and 4 pump stations. The pipeline ranges in size from 4 inches to 12 inches in diameter. In addition, the collection system is further broken down into the following components: main sewer lines, public sewer laterals (lower laterals) and private sewer laterals (upper laterals or "side sewers"). The public main sewer lines and public lower sewer laterals are defined as those lying within a street or public easement which is controlled by or under the juridiction of the District. However, there are certain sections of the sewer pipes that our customers are responsible for. According to Chapter 3, Article 1, Section 1.27, a "side sewer" is defined as "the sewer line beginning at the foundation wall of any building and terminating in the main sewer and includes the building sewer and lateral together." Further, Chapter 3, Article 5, Section 5.10 of the District's Ordinance, the upper lateral or "side sewer" "shall be maintained by the owner of the property served thereby" in the event of a blockage or sewer system overflow (SSO). For more information on this policy, customers may refer to the District's Municipal Sewer Code. In the event of a blockage or SSO, District staff are always prepared to support property owners in addressing issues with the sewer system, whether the problem arises on public or private property. If a problem arises with your system, please contact the District at 209.753.2112 or Guy.West@bvwd.ca.gov. 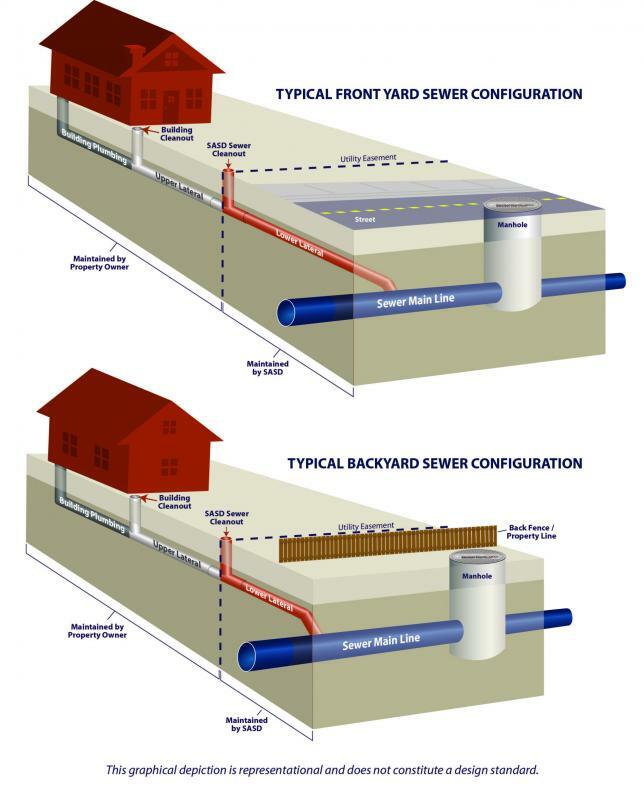 Sewer Easements: In most cases, collection lines and manholes are entirely on public property. However, in other cases, some portions of the collection systems as well as manholes in the service area are located on private property in the public utility easement. If you have a sewer easement on your property, learn more about easement access rights, responsibilities and expectations on our easement access webpage dediated to this topic.